How much do you know about 3D printed plastic black technology? With the continuous development of new technologies, the application of “3D printing” has become more and more widespread. For example, industrial design, dental and medical industries, construction engineering, information systems, aerospace, etc., 3D printing has gradually penetrated into every aspect of our lives. Today Xiao Bian took everyone to look at the five black scientific and technological achievements on 3D printing. A project in Paris named Faircap uses its open source 3D printing water purifier to provide people with clean drinking water to help solve the problem of human water resources. This water purifier can be screwed directly onto the spout of a standard PET kettle and can filter out the dirtiest particles, chemicals, bacteria and viruses in the water. Making this water purifier is also very simple. Simply prepare a 3D printer, food grade and FDA-approved PET wire, and download a free STL file. In the future, Faircap hopes to provide a variety of different types of 3D printing water purifiers that filter water from faucets, rivers, lakes, and ponds while controlling its cost to around US$1. 2. The plastic heart model, "white mouse" may have to be "unemployed"
In biological 3D printing, the Washington Pediatric Medical Center in the United States used 3D printing technology to print out the world’s first human heart with “plastics” and made the heart beat like a normal human heart. Laura Olivieri, an American pediatric cardiologist, introduced that the main material for this printed 3D heart is plastic. After the patient data is input to the device, the printer can build a duplicate layer of the heart sample layer by layer. The advantage of this is that the surgeon can use these 3D printed hearts to practice complex surgery. 3.3D print canoe success "trial"
An engineer named Jim Smith again created the world's first 3D printing canoe through 3D printing technology and successfully launched it. 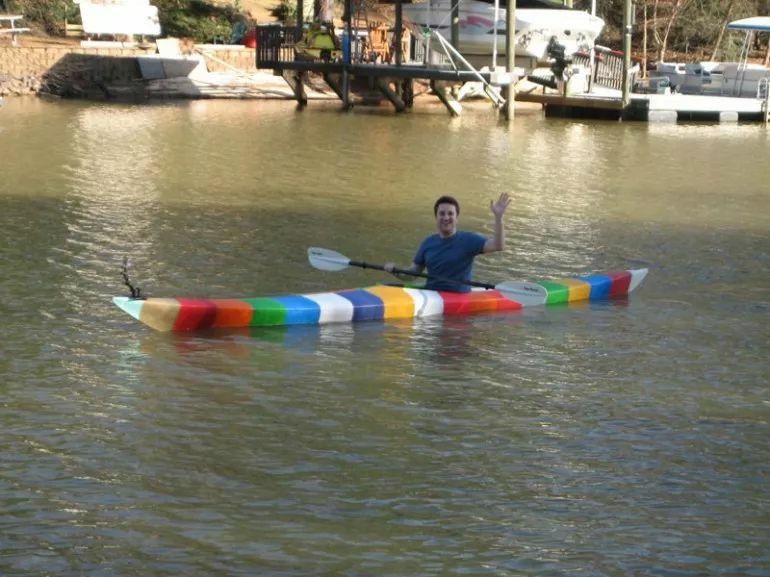 This "kayak" is assembled from 28 pieces of colored ABS plastic. Each part is made by a 3D printer and then bolted together. The production time is 42 days. The finished product is 5.08 meters long and 0.52 meters wide. The total weight is 29.29 kilograms, of which the ABS part weighs 26.48 kilograms, the brass threaded part weighs 0.86 kilograms, the bolt weighs 2.068 kilograms, and the total cost is only 500 dollars. 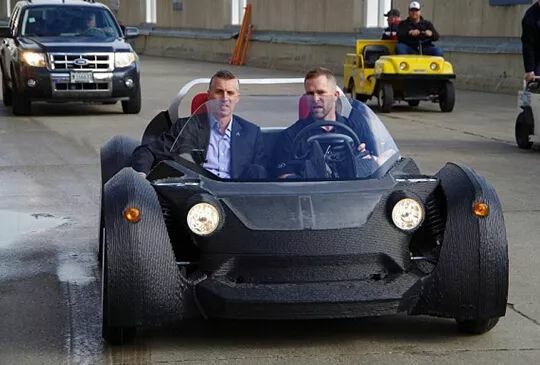 On October 10, 2014, the world's first 3D-printed car, "Stradidi," took to the streets of New York for trial. The body of the car is carbon fiber and plastic, manufactured using "3D printing technology." "Stradiya" has only two seats, the production cycle is 44 hours, the entire car only uses 40 parts, the maximum speed can reach 80 kilometers. "Stradidi" relies on electric energy, charging only 3.5 hours You can drive about 100 kilometers. The MIT Rockets team used nylon and 3D printers to make plastic rocket engines. 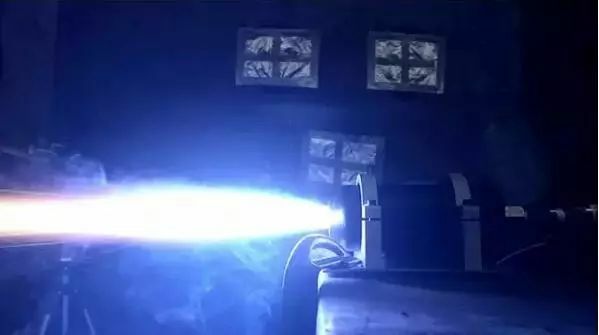 In the first ignition experiment, the engine started successfully! Although there was a little wear on the throat of the engine after ignition, at least it did not melt or explode at high temperatures. Researchers claim that the use of nylon is an option, and more because of the necessity of financial restrictions. But the team also proved that using a plastic 3D print engine is feasible. Currently, the team is working on larger, more durable engines. Eventually, they will create rockets with plastic shells, and such rockets are powerful enough to ensure that the rockets will complete their flight miles. What is this magical 3D printing? 3D printing technology, also known as rapid prototyping technology, is based on digital model files and can quickly construct object structures using layer-by-layer printing using special materials. Social scientists believe that 3D printing as a new processing technology will change the large-scale production methods represented by the assembly line in the second industrial revolution, transforming product production to individualization and customization, and realizing the fundamentals of production methods. change. At the moment, China's manufacturing industry is undergoing a transformation and upgrading, and it is a key moment for smart manufacturing. As a kind of automated production, 3D printing is regarded as the future of industrial manufacturing and will become an important representative of high-end manufacturing. At present, the global 3D printing industry is experiencing bottlenecks in the development of technologies, materials, and applications. China is no exception. Therefore, the development of 3D printing industry, domestic companies still need to work hard to improve the level of 3D printing.